I’m kicking off this new week with the second part of my Clinique post. 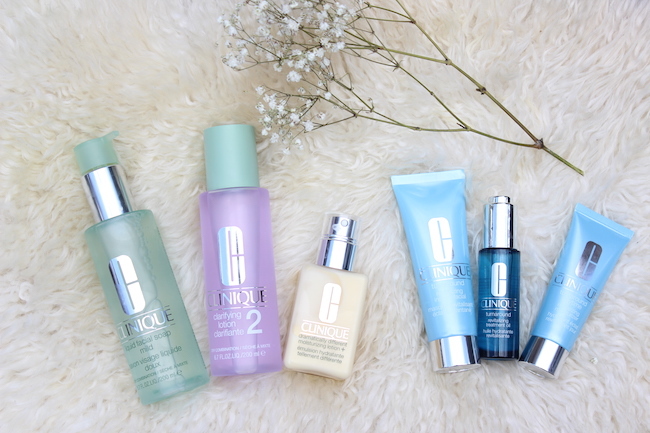 Two weeks ago, I mentioned that I went to the Clinique counter for a skincare consultation so I am going to touch on that more today and go over some of the products that I tried out. But first, let me get into some more background on my skin type as well as my own personal struggles because my skin is nowhere near perfect. I have a combination of normal to dry skin. I sometimes get dry patches depending on the seasons. I break out once a month (you know that time) with one or two pimples and it is always in the same area around my mouth. I found out that the reason for this is because the area around our mouths is the most hormonal part of our faces. It’s been super frustrating for me because they leave behind tiny scars and dark spots. As I have gotten older, I have noticed a little bit of discoloration in my skin, which can often make it appear dull and uneven. These are basically my main concerns and were the first things that were uncovered at the skincare consultation. As I mentioned in the last post, these consultations are free with no purchase necessary. It starts off with a series of 8 questions so that the skincare consultant can get a better understanding of your concerns. You will find out if you are skin type 1, 2, 3 or 4. I am type 2, which is a dry combination. Determining this allows them to select and customize the right products to fit your needs. The first thing she went over with me is Clinique’s 3-Step Skin Care System, which I am sure that most of you have heard of by now. 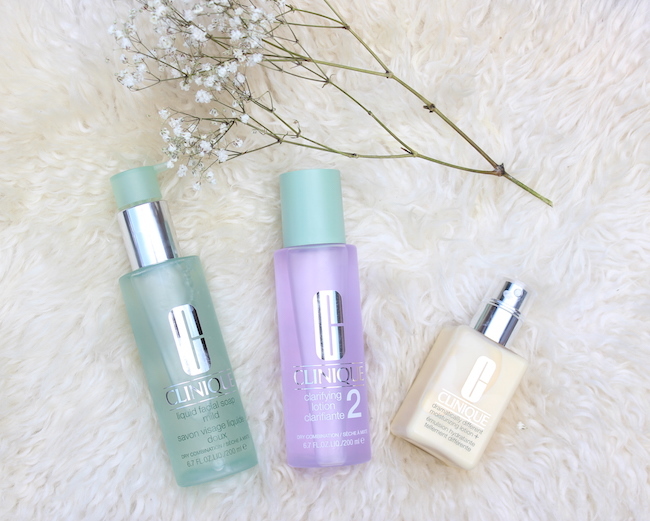 Years ago, these were the first three skin care products that I ever tried out. I remember getting a sample from Sephora and then I ended up buying the full size of each. Although I have used these products before, I never really knew much about each one of them so I was happy that this got brought up during the consultation. It starts off with the Liquid Facial Soap. It’s super soft and protects your skin’s natural moisture balance. I have used cleaners that made my skin feel dry afterwards so I love that this one does not give you that dry feeing. You simply lather it up and massage it over your bare face and neck, then rinse off. At the consultation, she applied this to my face with the Clinique Sonic Cleansing Brush. I seriously need to get that. I hate to admit that I have never applied cleanser with a brush before. I feel like it was much more effective than me applying it with my hands. 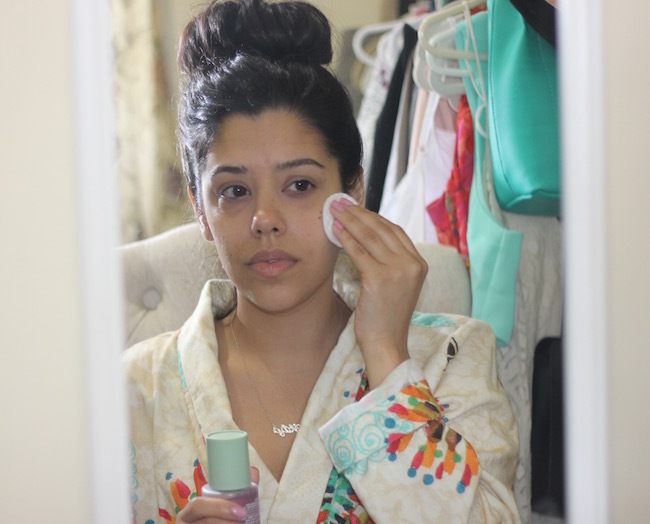 The second step is applying the Clarifying Lotion, which I always thought was just a toner! I was surprised to learn at the consultation that all these years I thought this product was something else. This helps to get rid of dulling flakes and any excess oil so that moisturizer can do its job better. It also helps make those fine dry lines disappear. You apply this with a cotton ball or cotton round by gently sweeping it over your face and neck. You will feel a tingling sensation, but don’t worry that just means it is working. I’ve also noticed that this helps to remove any excess makeup that I might have missed during step 1. The 3rd step and my favorite is the Dramatically Different Moisturizing Lotion. The formula hydrates and also helps to keep your skin looking younger. My face just feels so fresh and smooth after using it. I have been doing all three of these steps both morning and night over the last few weeks and I’m happy to have incorporated them back into my skincare routine. 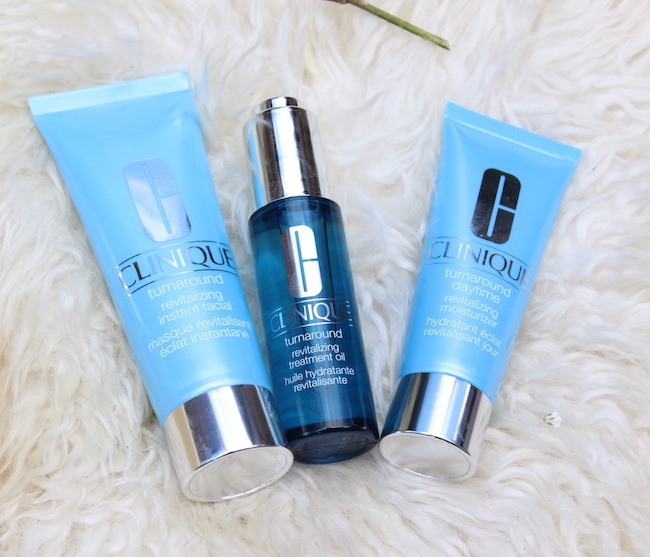 To address some of my concerns, like dullness and discoloration, the skincare consultation showed me part of the Turnaround collection, which included the instant facial, treatment oil and daytime moisturizer. My absolute favorite is the instant facial because it literally is a facial in a bottle. During the consultation, she first applied this to a small part of my hand and left it on for 5 minutes. When she removed it, you could see a huge difference from that part to the rest of my hand. 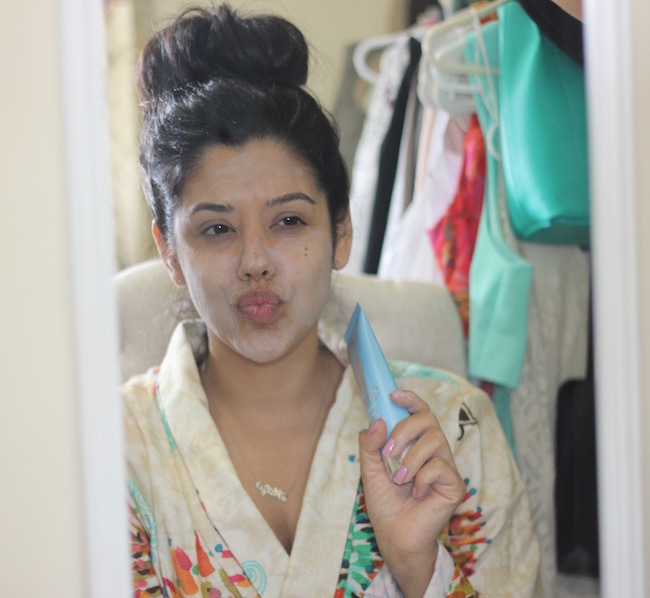 It really helps to make your skin fresher and more vibrant and extremely smooth! It should only be used 2-3 times per week as you definitely do not want to over do it. Just make sure to apply to a fully cleansed face. 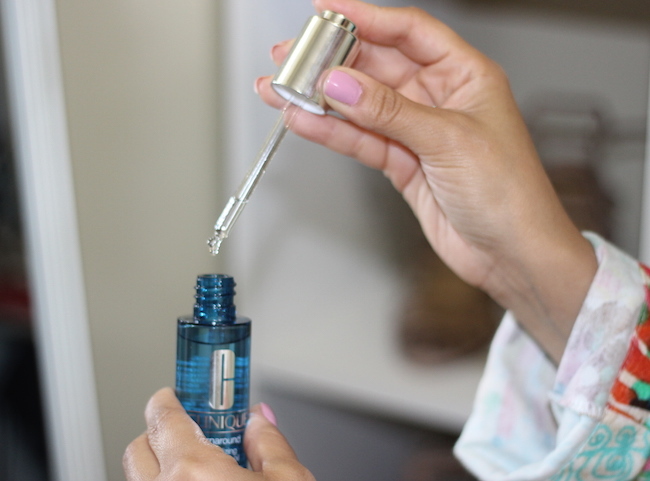 The revitalizing treatment oil is meant to nourish your skin back to a healthy-looking radiance. It can be used on its own or with your moisturizer. It’s another great way to lock in moisture and refine texture. I am definitely starting to become more open to beauty oils. She showed me the daytime moisturizer in rosy glow. This gives a luminous and wide-awake glow which I know that I need. It helps to make your skin look refreshed and alive even after those sleepless nights. If I had to choose between this moisturizer and the other one though, I would still pick the dramatically different one. 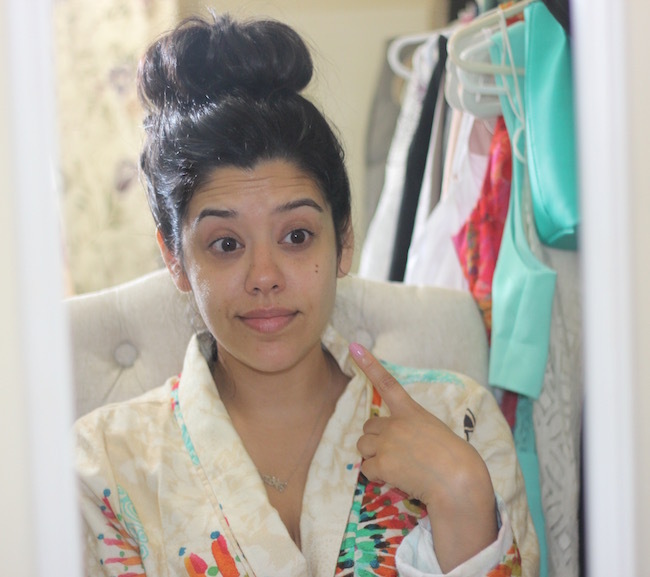 Skincare is really important to me and I think over these past few years I have started to turn into a skincare junkie and hoarder! It’s important to find a routine that works well for you and stick to it so that you can actually see results. 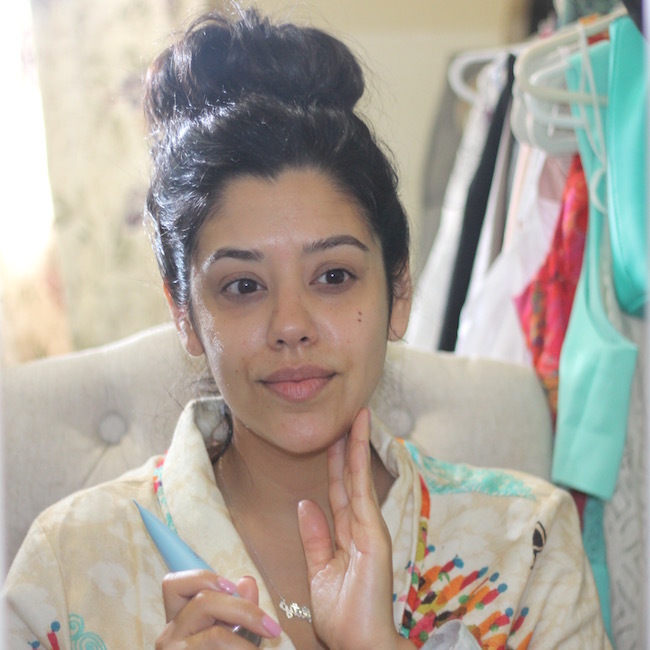 I am always open to trying out new products and seeing what works best for my skin. I wish that I would have taken better care of it when I was younger, but the most important thing is that I am doing it now and staying consistent. I highly suggest getting a skincare consultation as you will learn so much about your skin type and the right products to use! I have to admit that doing a post with absolutely no makeup on can be a little scary, so I definitely tried to have a little fun with this. I have done similar posts to this before, but always had on at least a little bit of concealer. This time though, I decided to go completely bare face! 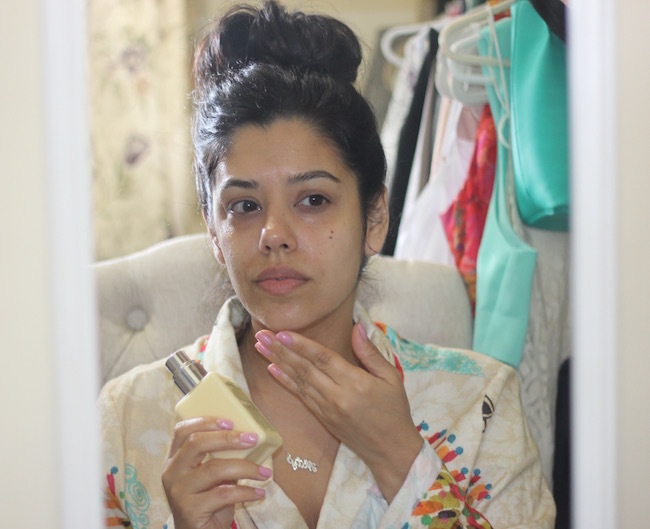 I have found that the more I take care of my skin, the more comfortable and confident it makes me feel. I am turning 32 soon (ahhhhh!) 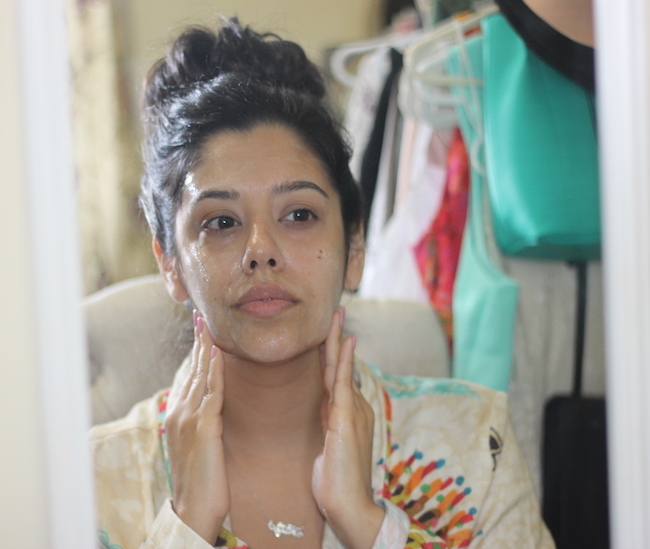 so I am determined to keep my skin looking as young and fresh as possible! This post was sponsored by Clinique, but all opinions expressed are my own. This has not been edited by any third parties. Thank you for supporting the brands that support A Love Affair With Fashion!